This past week has been pure madness. If you follow me on Twitter or Instagram, then you know that Jeremy graduated from flight school this week. Basically, helicopter college. Which means we're done with Fort Rucker and ready to move on so he can be a real-life, working pilot...in Germany. It was an exciting week. Jeremy's grandparents and mom came to visit, so we made lots of good food and enjoyed each other's company while running from here to there and there to here. I really do love to be busy. The week started with Family Day. 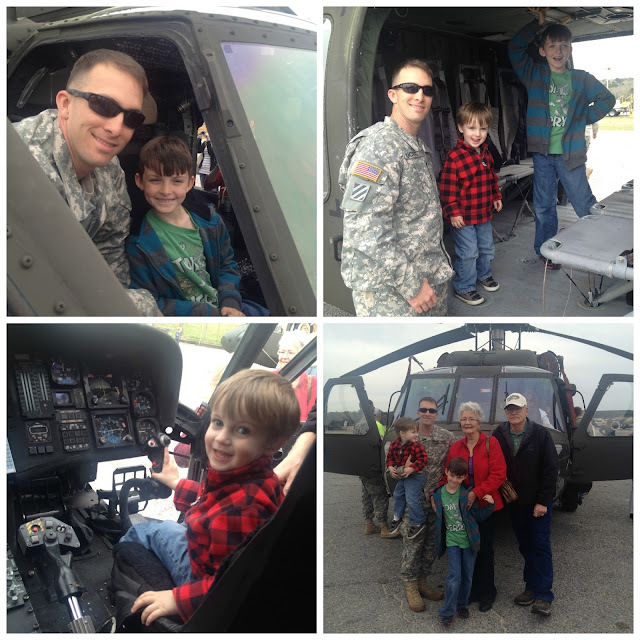 We had the chance to climb in and out of the Blackhawk. I'm not gonna lie, even though I saw all of the studying Jeremy did this year and how stressed he was with each test, he kinda made flying sound easy. Then I see the inside of the chopper, and I'm blown away. I'll never tease him for his inability to multi-task again. As you can see, the boys were in heaven. A short 2 hours after we came home from family day, we had our formal graduation ball. The Army...bless their hearts...have no clue how to plan events. Having a ball on the evening of family day and the night before graduation was a BAD idea. We worked it out, though. I managed to do my own hair and makeup, and it turned out nice, actually. The two top pictures are my transformation within the two hours. And I had to snap a pic of Jeremy and I getting ready next to each other. I felt so grown up. We were even joking about how we felt like the parents from Peter Pan, when they're getting ready for their evening out. The ball was really a lot of fun. I love the traditions they uphold and it makes me proud to be a part of it. I even was awarded my own certificate for being a supportive spouse. Then Jeremy presented me with my own pair of wings. It was very special. Bright and early the next morning was the big event...graduation! I'm not going to lie, that was rough morning. But seriously, look at that pic of Jude. Be still, my heart. The ceremony was nice. Aside from the long speeches and restless children. 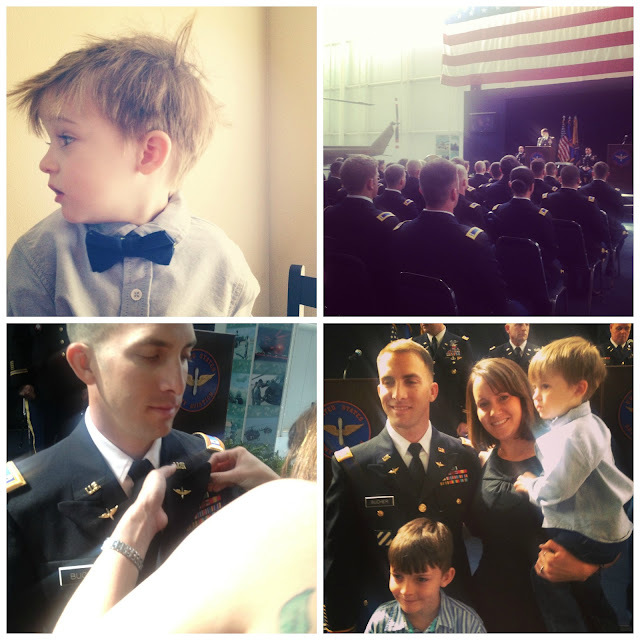 After Jeremy received his diploma, it is tradition for the family members to come up and pin their soldier. I love this tradition. I have pinned almost every new rank on Jeremy through the years, and I love to be a part of his success. It's a reminder of everything we have been through in this journey and reminds us that we really are in this together. While this was a happy week for so many reasons, it was also a sad one because it is the ending of such a great couple years. 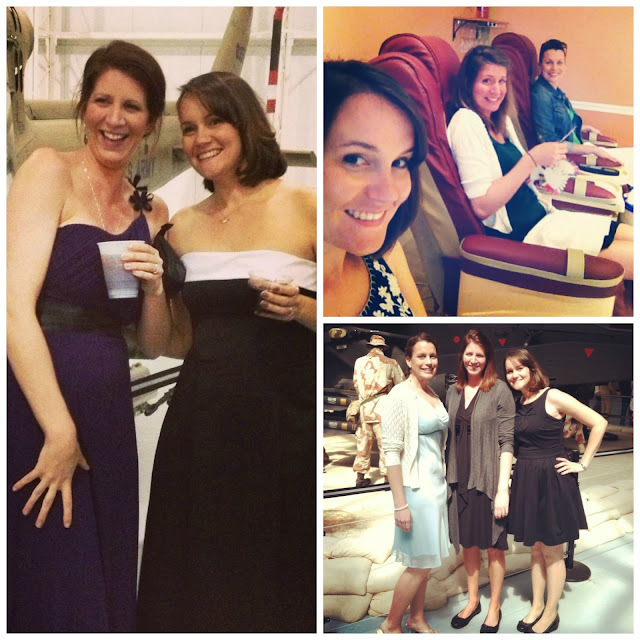 I will always hold dearly in my memory these times with my fellow flight school wives. When we came into this, people told me that these years and this journey was special and that the connections I would make would be some of the best. Honestly, I didn't expect or believe it before we came here. Now, I know. These were some of the best and most special Army years I have experienced. I have these ladies to thank for that. 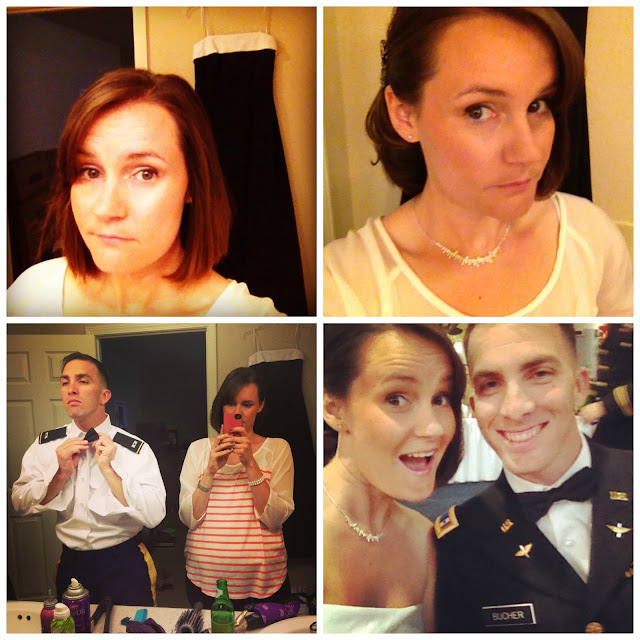 I really need to dedicate an entire post to describe the milspouse friend...so I'll save it for then. But I just have to say, I will miss these two girls (and many more not pictured here) so very dearly. So that was our crazy week. And it's about to get crazier! The movers are coming tomorrow and the days until we depart Fort Rucker are almost small enough to count with your two hands! Eeek! Goodness, I'm all emotional for Jeremy and I've never met him! LOL. But seriously, you guys make up the cutest family and the way you stick it through everything together is all sorts of wonderful. Love the pictures, and so excited for the next leg of your journey! that picture of Jude is just too cute! Congrats to Jeremy! I love this post. It made ma a little teary eyed.I definitely do miss the traditions of the Army and that family feeling you have with the friends you make. I can't wait for our turn! And at the same time, I certainly can! Wow that's a big deal! Congrats to him! Germany is so so fun, I'm jealous! Congratulations! So exciting! And Germany?! That will be such an amazing experience. It is sad moving on though, especially when you've made such good friendships. Aw, exciting things are coming! I loved all of the pictures! Wow, what a crazy (but crazy exciting) week! Congrats to Jeremy and you and the boys for supporting him. :) I love your hair for the ball, btw - so elegant and classic! What a beautiful family - so happy you have all those great memories with them! I can't believe the big move is so soon!